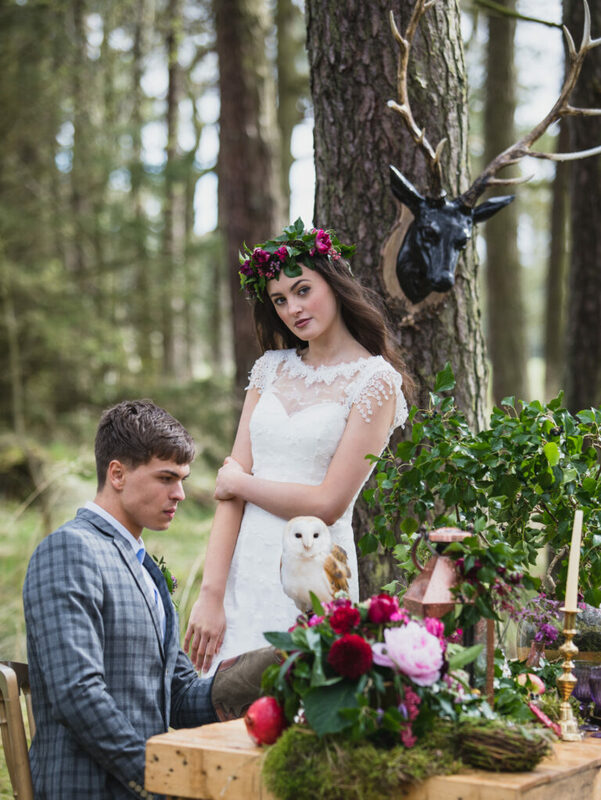 Fairytales & luscious forest fruits inspired this magical shoot. 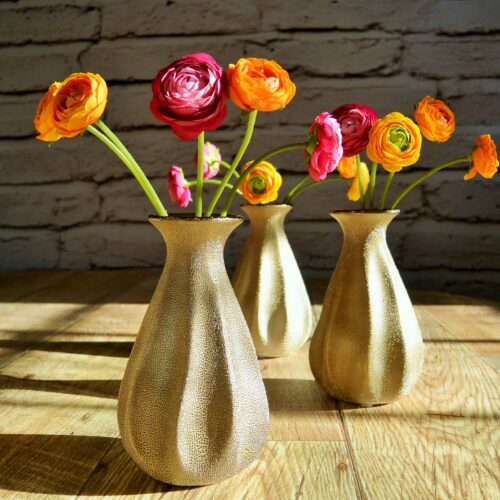 Take one moss floored, woodland glade, sprinkle rustic tables with candles, opulent blossoms and juicy fruits of the forest, add a generous measure of Snow White, stir in one gold looking glass, three birds of prey, a sprinkling of sequins, gowns fit for a princess. Juicy plums, pomegranates, wild berries, fruits of the forest, deep moss, glittering graphite blue and the matte gold of a Snow White, mirror frame. 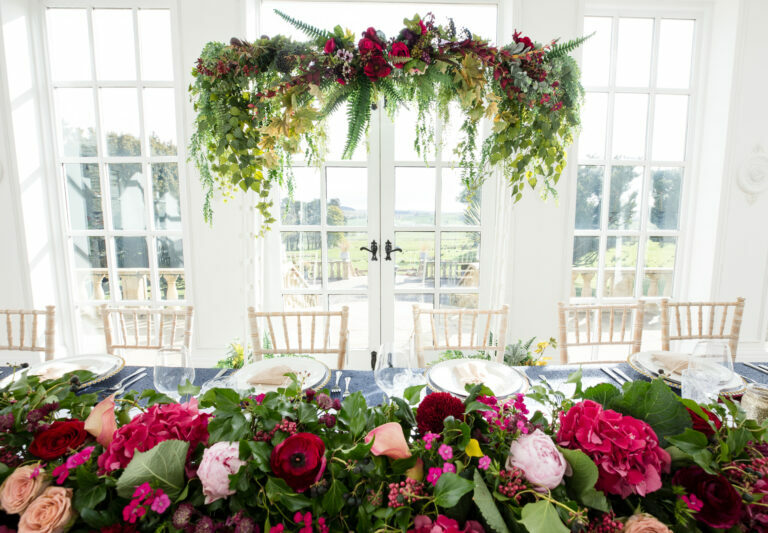 Country Glamour at it’s finest, in the morning light, we styled the orangery for both the ceremony and reception with opulent fresh flowers by Floral Quarter combined with a silk blossom laden arbour by ourselves and Vicky, to set the forest scene. We used lots of metallics thoughout to give sparkle highlights to the graphite sequined cloths and berry red napkins. Amethyst and moss glasses gave delicious pops of colour. 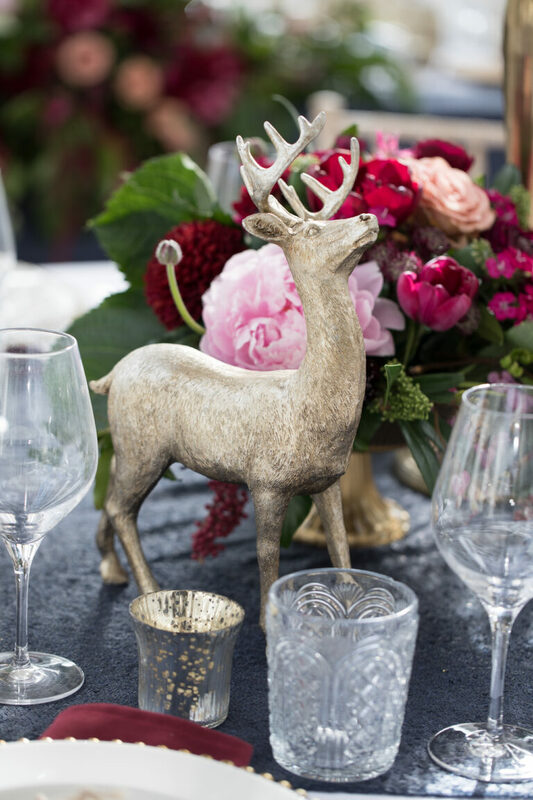 Slices of wood stags, giant pine cones and moss and berry filled jars with flickering candles, brought the magical woodlands indoors. All signage, staionery, table plans and table numbers available to from our exclusive Fruits of the Forest stationery range! Woodhill Hall has it’s own amazing on-site Tepee with twin peaks and wooden floor boards. It’s decorated with rustic charm, eclectic rugs, fur throws over leather sofas, and a fire pit for cosy evenings! We adorned it with Vicky’ss luscious flowers, coloured glassware, mercury glass candle holders, berry red linen, gold beaded charger plates and lots of other of woodsy loveliness, all available to hire! Fruits of the forest complete collection available to hire! 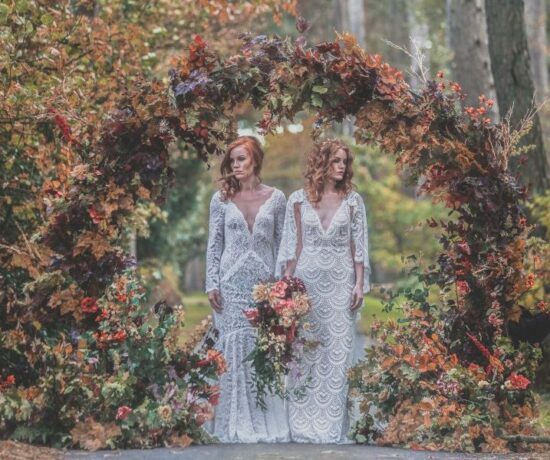 A woodland setting in the 1oo acres of Woodhill Hall’s Estate, provided the backdrop for the most magical part of our shoot, an enchanted forest setting complete with a gown fit for a princess, a fresh flower crown, a gold looking glass, a fairy feast, wild birds and stags! At Dusk, the enclosed terraced area at Woodhill, so named after the matching pair of Elephant shaped topiaries, becomes magical when the fire is lit. The fairy lights on our cascading floral arch twinkled over a table laden with drinks flowers and the cake! We’re so lucky to work in some of the most magical places ever and Woodhill Hall, a 300 year old Country House near Otterburn, is one of our favourites! 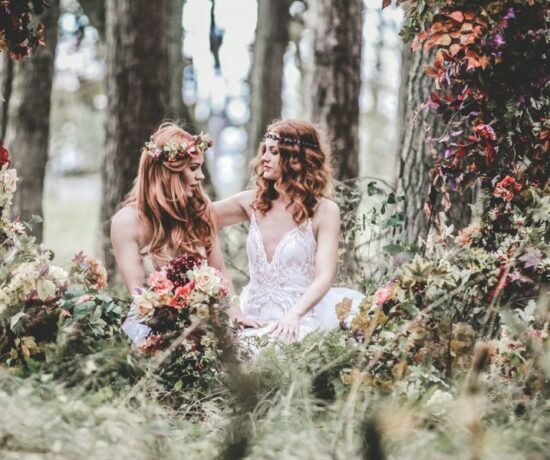 It’s unique, quirky style, big skies and heart-of-the-countryside setting, paired up perfectly with our idea of a perfect location for a fairytale Fruits of the Forest styled shoot.We were spoilt for choice when it came to selecting which areas of the venue to photograph, so we just decided to shoot them all! Early morning found us in The Orangery, setting up the ceremony and wedding breakfast, before a reception in the tepee. A fantasy forest scene, with the birds of prey, in the estate’s own 100 acres of woodlands was followed by the fairy lit Elephant Garden at dusk! 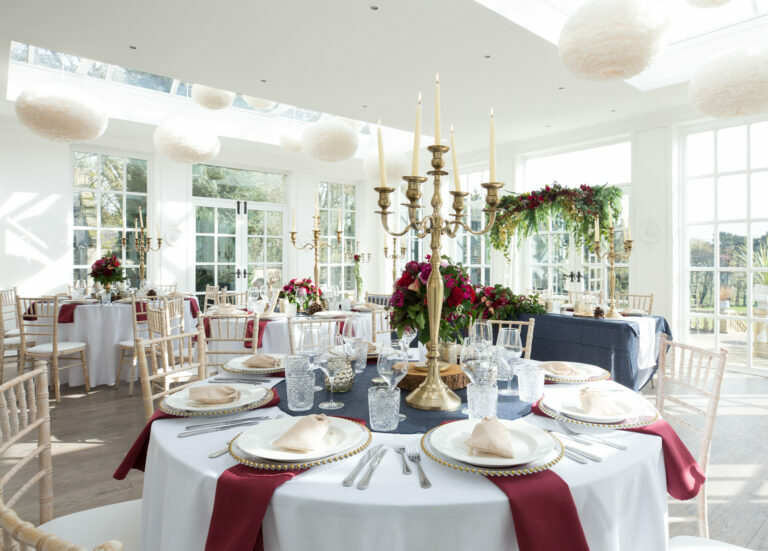 The themes and colour schemes were remixed in different ways throughout the day, rustic to glamorous, elegant to country style to suit the character of the individual parts of this versatile venue. A chance meeting between ourselves and the lovely Becky from Rebecca Reay Photography at the end of 2016, resulted in this collaborative effort. Becky is a fantastic photographer, whose grasp of light, composition and “posing” is creative and very flattering. She has the capability of capturing the little details and the atmosphere of the day and produces amazing images that are really tailored towards your personal style. She is always happy, incredibly easy going and fun to be around and uses her humour to get what she needs done quickly. Becky is very passionate about her work, and will go above and beyond to make her clients happy and gives 100% to creating not only amazing images but an amazing experience. 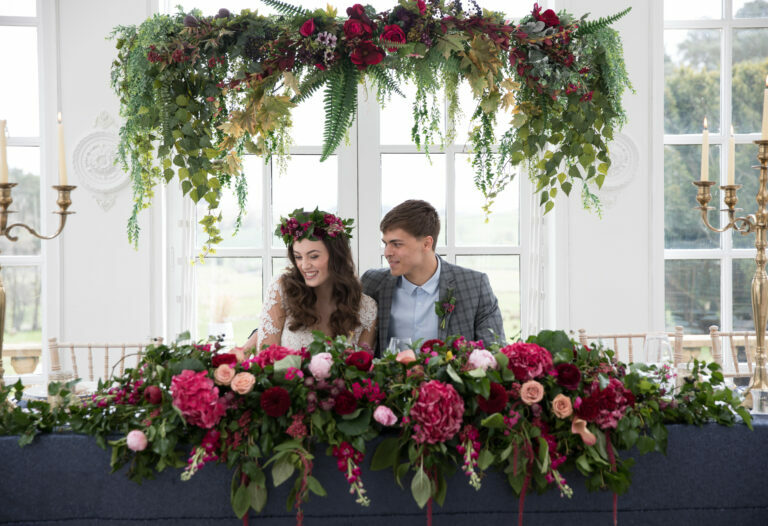 Vicky Laffey at Floral Quarter Weddings was our brilliant florist on this shoot, creating the most divine arrangements from bouquets to centrepieces, flower crowns to hanging decorations. Vicky used a selection of beautiful blooms that, apart from being beautiful and giving lovely pops of the ‘Fruits of the Forest’ colours throughout the venue, also gave a faint hint of fragrance, with flowers such as scented stocks. 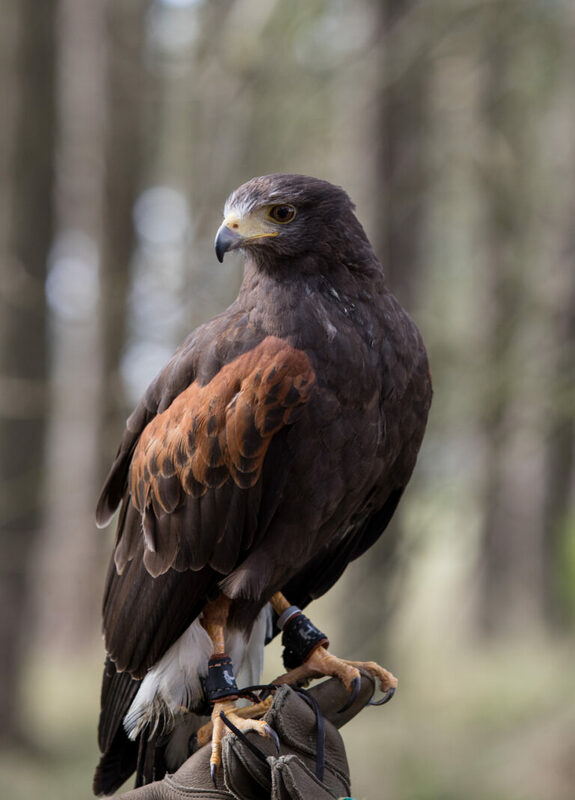 Mandie and Mark French of Falconry Days brought along their fantastic feathered friends, adding the final touch of ‘forest’ to our shoot! 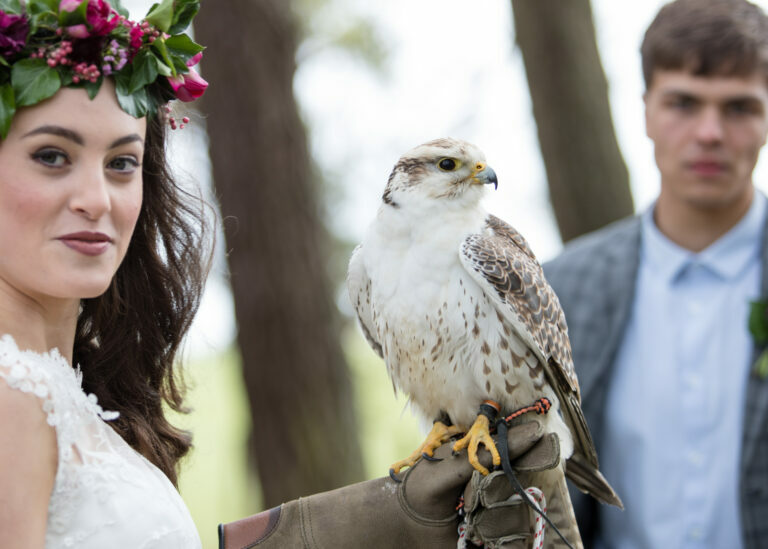 Dillon the White Falcon, Plop the Barn Owl and Henry the Harrier Hawk are used to camera’s popping as they’re trained ring bearers and can deliver the wedding rings during the ceremony! We were lucky to have the talented Lisa Jones in attendance to make up our models and style their hair. They not only looked beautiful but were able to resist the gale force winds and snow in the forest! She said it ‘wouldn’t budge’ and she was right! Bear that in mind, for your Big Day weather forecast, ladies! When we spied the creative confections by Graeme Venus from Sticky Sponge Studio in Woodhill Hall’s own ‘wedding cake shop’ window, we needed to look no further for our cake maker! Vicky from Floral Quarter dressed Sticky Sponge’s three tiered vanilla creation with fresh blossoms and foliage to follow the forest theme.